This 09 Nights - 10 Days Maharaja Tour of Rajasthan is offered by Rajputana India Tours has been designed keeping in mind the requirement of various tourists coming to India from different parts of the world. This Rajasthan tour package covers major cities like Delhi, Jaipur, Jaisalmer, Jodhpur, Udaipur, and Agra. You are going to visit Jaswant Thada, Umaid Bhawan Palace, City Palace, Jagdish Temple, Fateh Sagar Lake, Taj Mahal, Red fort and many more. Book this Rajasthan Tour online through us and gift a wonderful surprise to your family members or friends. Upon your arrival at Delhi airport for Maharaja Tour of Rajasthan, our company representative will meet and greet you. Later you will be transferred to the air-conditioned car to proceed towards your pre-booked hotel. Rest of the day is free for independent activities or you can relax at the hotel for overnight stay. After having breakfast at the hotel, you will be transferred to the car for sightseeing in this beautiful city. 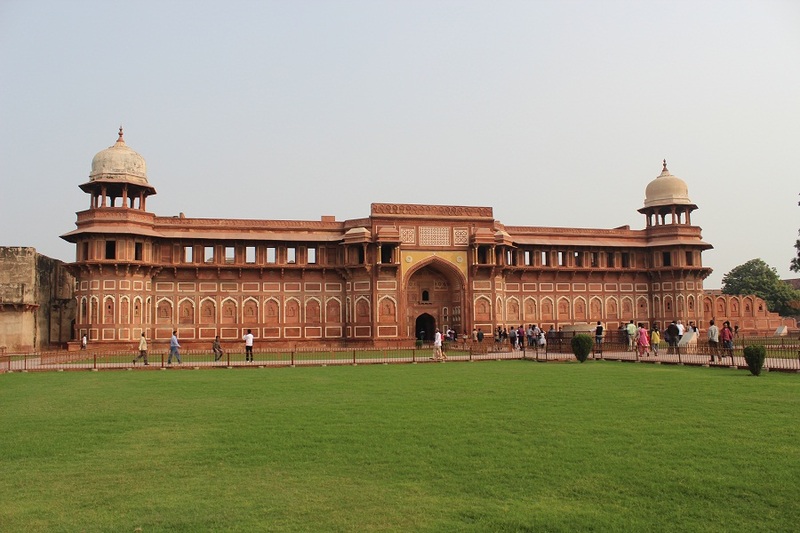 You will explore major tourist attractions like Red Fort, Qutub Minar, and Jama Masjid. After having lunch, you will leave for Jaipur. On reaching this place, you will be transferred to the hotel for comfortable overnight stay. 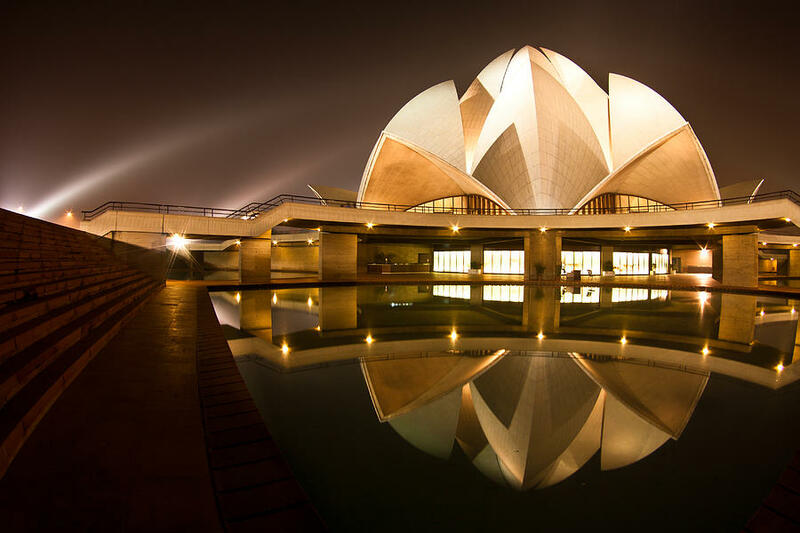 Have breakfast at the hotel, then our company representative will transfer you to the car as you drive for full-day sightseeing in Pink city of India – Jaipur. The visit starts from Amber Fort that is also known as Amer fort, which is located 11 km away from the main city of Jaipur. It is situated high on a hill and was built in the year 1592 AD by Raja Man Singh I. You can also enjoy elephant ride to climb this fort and get a wonderful panoramic view of the whole Jaipur City. Then you will go to visit Hawa Mahal that is also called as “Palace of Winds” and was constructed by Maharaja Sawai Pratap Singh in the year 1799. The structure of this monument is like a beehive and comprises of 953 small windows. Then you will visit City Palace that is a huge complex that consists of buildings, beautiful gardens, courtyards and other magnificent structures. It was made in between 1729 and 17332 with the initiation of the rule of Ajmer, Sawai Jai Singh II. After visiting this famous tourist attraction, you will go to explore Albert Hall Museum situated in the Ram Niwas Garden In Jaipur and is the oldest museum in the state of Rajasthan. 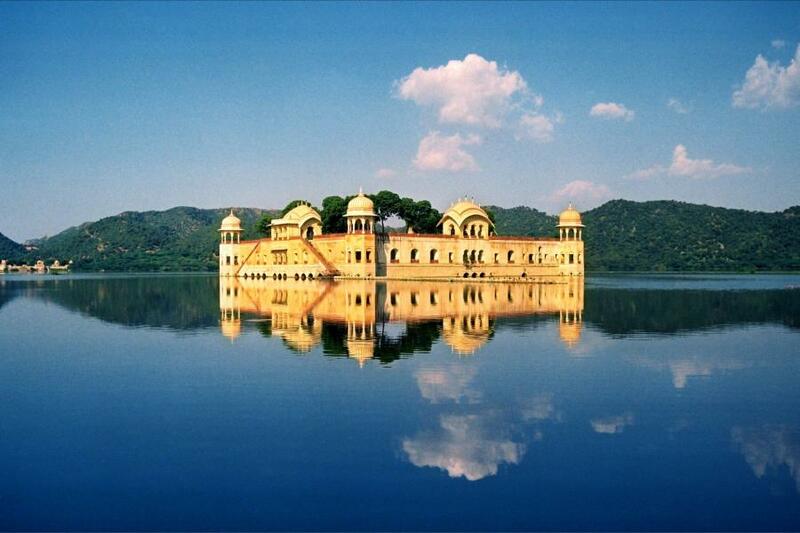 You will also visit Jal Mahal, which is located in a lake and attracts large number of tourists every year. In the evening, you are free for independent activities like shopping as Jaipur is famous for traditional gemstone jewelry and other handicrafts. Later in the night you will be transferred to Jaipur Railway station as you will board the train to Jaipur. Overnight in Train. Upon arrival at Jaisalmer railway station, our representative will transfer you to the car as you will proceed towards your pre-booked hotel and later check-in the hotel for short relax. 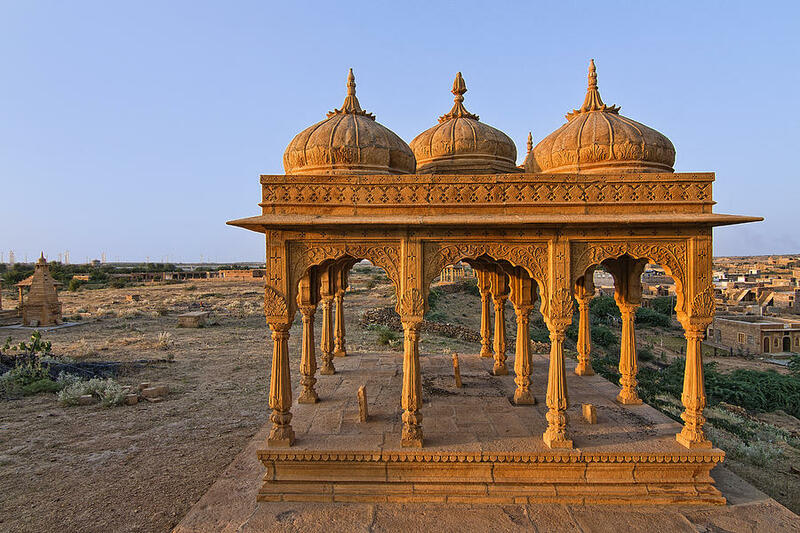 Later you will go to visit the beautiful Sonar Fort also known as Jaisalmer Fort. Then you will see beautiful mansions or havelis with balconies and windows covered by fine carved screens. There are many beautiful havelis along the narrow lanes in Jaisalmer town, which has medieval ambience. Return to the hotel for overnight stay. Have breakfast at the hotel then our representative will transfer you to the car as you will leave for Sam sand dunes. 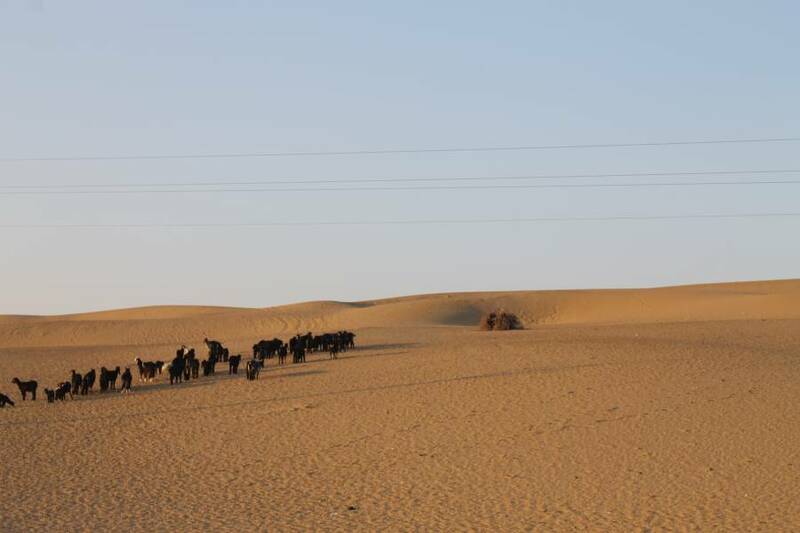 At this place, you are going to stay in a tent and can enjoy camel ride, jeep ride along with bonfire in night with traditional Rajasthani folk songs. Return to the tent for overnight stay. Have breakfast at the hotel, then our company representative will transfer you to the air-conditioned car as you will leave for Jodhpur. On reaching this place, you will check-in the hotel for short relax then you will go to visit Jaswant Thada, Umaid Bhawan Palace, which has a heritage museum. 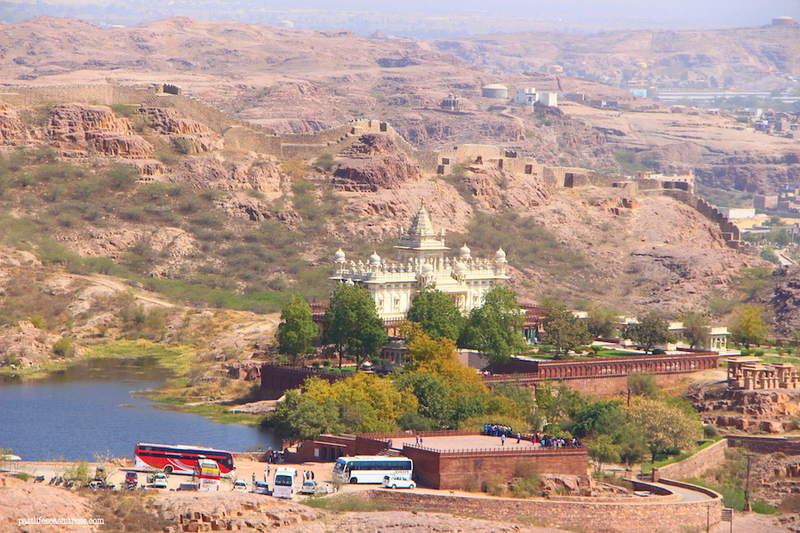 Also visit the majestic Mehrangarh Fort, one of the largest forts in India. Within the fort there are beautiful palaces, and a display of royal arms and artifacts. Return to the hotel for overnight stay. After having breakfast at the hotel, our representative will transfer you to the car as you will leave for Udaipur and on arrival check-in the hotel for short relax. Later in the evening, you will go for boating in Lake Pichola to view the sunset. Return to your hotel for overnight stay. After having breakfast at the hotel, our representative will transfer you to the car as you will leave for full- day sightseeing in this beautiful city. 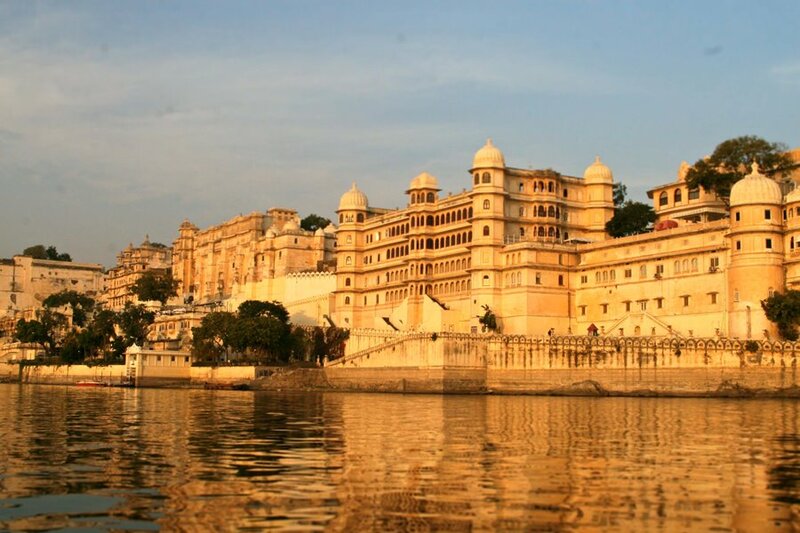 You will visit City Palace – the largest royal complex in Rajasthan as the construction began in the year 1559 under Maharaja Udai Singh II and subsequently carried out under his successor Maharanas for a period of next 300 years. This magnificent monument consists of towers, balconies, cupolas that give panoramic view of the Udaipur city and Pichola Lake. Then you will visit Jagdish Temple, which was constructed by Maharana Jagat Singh. This temple has Indo-Aryan architectural style and dedicated to Lord Jagannath. Have a drive through the old streets of Udaipur and reach Fateh Sagar Lake – an artificial lake that was reconstructed by Maharana Fateh Singh in the year 1888. Then you will visit Saheliyon-Ki-Bari, which is also known as courtyard of maidens was built by Maharana Bhopal Singh and comprises of marble elephants, a lotus pool, kiosks and fountains. In the evening, you either go for shopping of wooden folk toys, wall hangings, hand-printed textiles or visit Monsoon palace, which was built in the year 1884 by Maharana Sajjan Singh. Later in the night, you will be transferred to the Udaipur railway station to board your train to Agra. Overnight in Train. Upon arrival at Agra railway station, our representative will transfer you to the car as you will proceed towards your pre-booked hotel and later check-in the hotel for short relax. Later you will go to visit Later you will visit other major tourist attractions like Agra Fort, Baby Taj and Taj Mahal. Return to the hotel for overnight stay. You will visit Taj Mahal again at the time of sunrise to click some wonderful images to cherish this glorious moment for all the years to come. Return to the hotel to have your breakfast and short relax. After having breakfast at the hotel, our company representative will transfer you to the car to leave for Delhi. On reaching this place. you will be dropped at Delhi airport to board your flight for next destination/home.